Neptune was not known to Marsilio Ficino during the Renaissance in which he was translating ancient texts and formulating his magical astrology, except perhaps in his imagination. During 20th century astrology a concept of higher octave planets was invented in which Neptune became known as a higher octave of Venus (with Uranus as higher octave of Mercury and Pluto as higher octave of Mars). In part this has to do with Neptune signifying unconditional love as well as relating with the living soul of our greater world, feeling the interconnectedness underlying our shared field of reality. Whereas Venus places us in the pleasure of sensual reception in taste, touch, smell, colors, music, and aesthetics, her focus is centered in unifying the material of our present reality. In contrast Neptune has been linked with vaster realities such as the collective unconscious and dimensions beyond our senses and normal perceptions of time and space. In 20th century astrology Neptune also became celebrated as a ruler of Pisces by many astrologers, to such an extent that by the end of the century it was the favored ruler among popular forms of astrology. Just as Neptune has an affinity for Pisces, Venus has been said to have her exaltation in Pisces since the most ancient days of astrology. Dorotheus of Sidon, one of the most influential Hellenistic astrologers who lived in the first century AD, wrote that planets in their exaltations “make them very illustrious and remarkable,” becoming an “authoritative figure” who can be entrusted with noble works as well as dwell with and enjoy the profits of regal endeavors. During the transit of Venus in Pisces its exalted status brings enhanced opportunities for luxuriating in sensual pleasures, soothing inner needs, and enjoying arts of all forms. When Venus and Neptune unite in Pisces, desires and reception of pleasures become amplified and otherworldly. Since April 2011 when Neptune entered Pisces, we have been living in an interesting time period hosting unions between Venus and Neptune in Pisces. Currently they are applying toward a conjunction that will complete on April 10, 2019. Previously since Neptune entered Pisces in 2011, Venus formed a conjunction with Neptune in Pisces on 28 February 2013, 11 April 2014, 1 February 2015, 20 March 2016, 12 January 2017, and 21 February 2018. They will continue forming unions in Pisces until the final one on 27 March 2025. Amazingly, they will form their final conjunction at the very very end of Pisces at 29º53′ with Venus retrograde in 2025. Now that we have been through six of their conjunctions and are approaching the seventh, it’s worthwhile to think back upon each of these past periods of Venus and Neptune forming unions in Pisces to note what changes and realizations occurred for you within your relationships with others as well as your relationship with yourself. The combination of Venus and Neptune in Pisces is incredibly dreamy, imaginative, and numinous. Its combination corresponds with romantic love being exalted in popular culture as the most magical of experiences. I once heard Rick Tarnas give a talk on the connections between astrology and romance in which he commented that since astrology and synchronicity are not openly acknowledged in consensus society, we end up with a heightened desire for romantic love in mainstream culture. In the materialistic consensus worldview, romantic love carries the entire magical sense of a communion between souls opening up a new universe, an opening that goes beyond the compressed isolation of the Cartesian ego toward awareness of the world soul. Notably, Tarnas pointed out that astrology, synchronicity and romantic love all (1) have great potential for profound significance, (2) are extremely susceptible to a skeptical negation, and (3) are also susceptible to both projection and illusion. The potential for illusion in love we find in the union between Venus and Neptune also veils the truth that if one is carrying the divine inside, it is possible for a communion of divinities to occur through romantic love in which reciprocal recognition of divinity occurs. Tarnas noted we can further find these ideas within Carl Jung’s conception of the Self due to it being constellated by a profound romantic love involving the marriage of opposites, the cosmic marriage of the inner and the outer, the conscious and unconscious. Jung’s ideas also connect to another phenomenon associated with the combination of Venus and Neptune in astrology: projecting unconscious content into our relationships so that both relational partners become enmeshed within exchanging projections. 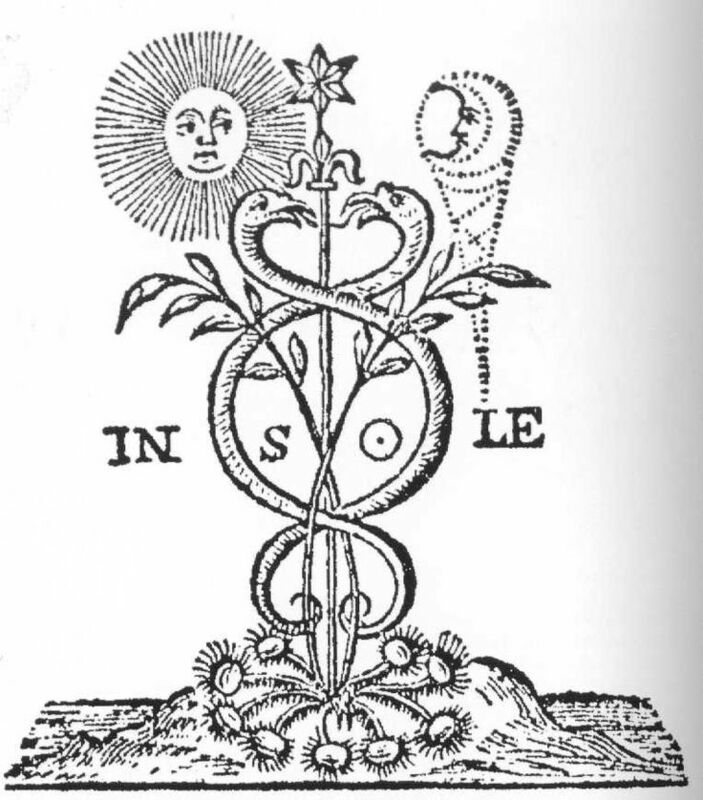 The book Eros and Magic in the Renaissance by Ioan Couliano described how Jung’s idea that we fall in love with our own unconscious image projected into relationships has similarities to ideas developed by Marsilio Ficino. “Interestingly, the love object plays a secondary role in the process of establishing the phantasm: it is only a pretext, not a real presence. The true object, omnipresent, of Eros is the phantasm, which has taken permanent possession of the spiritual mirror. Now, this phantasm represents a perceived image that has gone beyond the threshold of consciousness, but the reason it has assumed such obsessional dimensions lies in the deepest part of the individual unconscious. We do not love another object, a stranger to ourselves, Ficino thinks (Amore, VI, 6) thus anticipating the analystic psychology of Carl Jung. We are enamored of an unconscious image. Complexly, Couliano commented that the subject can graft itself onto the phantasmic image of the beloved so that the subject becomes changed into the object of their love while the object of their affection is simultaneously impacted by their projection. When both relational partners are engaged in this process, they each end up transfigured by their reflection in the mirror of the other. Dramatically, Couliano noted that when the object of love removes themselves from the relationship, when they remove their mirror the loss of reflection feels like a death to the subject. Couliano concluded, “after knocking hopelessly at the door of the other’s eyes, this Narcissus will die through lack of access to the glossy surface of a spirit on which (or on whom) he can be reflected.” This of course links with the long lineage of romantic tragedies that have captivated popular imagination for ages. These ideas connect to the transformative feelings of love that come with transits of Neptune and Venus, as well as destructive feelings of disillusionment that can awaken self realization. Projections in relationships can be most harmful when they do not have authentic resonance with one’s soul but instead have been conditioned by societal forces. These external conditioning influences are often wrapped up in systematic oppression, necessitating a need to shed the way they impact our gender, sexual, and other personal identities. The more we are able to take responsibility for this work, similar to Jung’s concept of individuation, the better we can gain self acceptance for the authentic desires of our soul. As we do so, we can attract partners who genuinely resonate with our inner life, drawing us into a deepening of the lessons we need on a soul level. We also can gain a healthier relationship with ourselves so that we can foster recovery and restoration when a relationship ends. It’s not really possible to prevent our unconscious from shaping the relational dynamics we form with others, and this is a gift in terms of the creativity and growth cultivated by the commingling of unconscious fields. We can at least gain awareness that the phenomenon is happening and open to the actual presence and needs of a partner instead of confining them to our own projection. The numinous, intermingling perceptions and projections between lovers is so full of magical potency that it has given birth to countless epics of artistry that have endured the tests of time and will continue to do so. Most importantly, it can enrich our life when not causing damaging delusion. As Venus and Neptune begin a new cycle together, as well as during subsequent aspects between them (especially when forming a square or opposition), we can claim the opportunity to reflect upon our unconscious projections. It’s essential that once becoming aware we do not bury the realization in denial but instead sustain contemplation so that it’s pattern may mutate and we may receive insight. Neptune brings longing for the ideal and sustaining divine connection, yet can also bring debilitating pain once a shattering experience breaks us free from an illusion. After we suffer the agony of betrayal or abandonment, the ensuing underworld process of descending to our solitary depths ultimately gives rise to essential rebirth and expansion of consciousness. Like Persephone arising from her hidden kingdom into our upper world of blooming flowers, like Aphrodite arising from the depths of the ocean to fertilize new ground, we can restore our capacity for sharing and receiving love. When relationships dissolve in disappointing disillusionment, in reflection we can realize the vital, irreplaceable experiences and realizations we received through its reciprocal projections. In fact, we can realize that all of it was necessary in order to become who we are meant to become. So as Venus and Neptune come together once more in the mutable, watery sign of Pisces, be mindful of living in a time in which you are navigating their waves of communion within the most oceanic sign of the zodiac. Their unions in Pisces can enhance awareness for how our projections are disconnecting us from reality, can lead us to love based upon resonant bonds of connectivity, and can facilitate the nurturance of self love and acceptance. Like Maya spinning a constantly changing stream of illusions, the cycle of Venus and Neptune flows through our reality with the mystical, seductive melodies of its watery stream. While musing within its current, we can enjoy its imaginal activation while maintaining practices of staying grounded and focused within earthly matters and responsibilities. As a result we may retrieve glistening jewels of wisdom from its tides rather than becoming lost at sea. Couliano, Ion. (1987). Eros and Magic in the Renaissance. The University of Chicago Press. Dykes, Benjamin (2017 translation). Dorotheus of Sidon: Carmen Astrologicum, the Umar al-Tabari Translation. The Cazimi Press. a gentleman’s leisure or a lady’s leisure? might be painted in a picture? combinations and the fluids of the air as subject for the savans? The ingress of Uranus into tropical Taurus transfigures the astrological atmosphere and strikes a chord inciting a new movement in our collective chorus. Uranus enters Taurus on May 15 and will sustain it’s rupturing, liberating presence until November 6 when it re-enters Aries while retrograde. After revisiting Aries during the end of 2018 and beginning of 2019, Uranus will return to Taurus on 6 March 2019 where it will remain until 25 April 2026. Uranus will only make it to 2º33′ of Taurus before stationing on 7 August 2018, and so will be most impactful this year for those with natal placements in the first five degrees of fixed signs (Taurus, Leo, Scorpio, Aquarius). Regardless of whether or not you have natal placements in close aspect to the trajectory of Uranus across the next six months, however, you will soon notice its impact. Though life is always in flux, Uranus entering Taurus denotes a coming period of volatilizing change felt from the roots, altering dynamics at core levels. While we can explore archetypal patterns resonant with Uranus in Taurus to get a sense of what this transit could bring, it’s vital to realize that Uranus brings the unexpected to such a degree that its manifestations in Taurus will go far beyond expectations. Many astrologers have been writing and speaking about the impact Uranus will make in Taurus in terms of earth being the most dense and stable element in astrology, and Taurus being the earth sign most resistant to change. Uranus brings the necessary alchemic fire required to shake and reshape matter, signifying that Uranus impacting the fixed sign of the Bull will bring deep-seated, tectonic shifts in personal and collective events. Uranus brings a whirling vortex of change when it enters a new sign, yet in the current transition it is moving from the fast moving, change inducing sign of Aries into the plodding, patient pace of Taurus that can sustain thorough resolve for long periods of time. Ever since Uranus entered Aries in 2010 it has been under the influence of Mars in a fiery sign ideal for separating us from past attachments and boldly embarking in new directions. With Uranus in Taurus, we can deepen the dynamic changes we initiated with Uranus in Aries as Uranus will be under the influence of Venus in a grounded sign known for its cultivating prowess. Taurus is the sign of the Bull, and this apt symbol highlights how the calm presence of a bull luxuriating in a field can turn into a raging force thundering the ground once provoked. Uranus will electrify, vivify, and fully awaken the sensualness as well as the stubbornness of Taurus, and just as it can be extremely difficult to slow down a bull once it is racing forward, we also will need to be aware of how events triggered in correspondence with Uranus in Taurus will obstinately persist with inexorable steadiness. We can imagine this to be a good thing when contemplating the emergence of an inspirational, idealistic movement focused on the greater good, but we also know from history and current events that many inspirational movements promote the benefit of proponents at the expense of oppressing others. For example, it is a well known fact that the last time Uranus entered Taurus the world experienced the trauma of destruction caused by Adolph Hitler and Nazi Germany. Other past transits of Uranus in Taurus have involved the crusades, the conquering of America by Spanish conquistadors, and the initiation of direct shipment of slaves from Africa to the conquered Americas where the indigenous population was being displaced. There has been a long historical pattern of the deep foundational changes brought by Uranus in Taurus erupting into frenzied volatility once Uranus leaves Taurus for Gemini. In part this could be due to the fact that the North Node of Uranus is in Gemini, as well as the fact Gemini is a volatile sign to begin with. In the United States of America, the revolutionary war broke out with Uranus in Gemini yet all of the necessary events that brought it about occurred with Uranus in Taurus (1767 – 1775). The next time Uranus entered Taurus (1850 – 1859) was the decade of the 1850s that led into the eruption of the civil war with Uranus in Gemini; though there was a “great compromise” that delayed the outbreak of civil war, this compromise also involved aspects such as the fugitive slave act that inflamed conflict. Finally, while war raged across Europe when Uranus was in Taurus last time (1934 – 1942), it was not until the very end of Uranus moving through Taurus that the Pearl Harbor bombing occurred that led to the USA entering the second world war (the USA combat in the war then occurred with Uranus in Gemini). In current events in the USA as well as all across the world, we can witness how fundamental change is once again rippling throughout the fabric of civilization as Uranus enters Taurus. This time around, the core changes brought by Uranus in Taurus will be exacerbated by Saturn and Pluto coming together in Capricorn in January 2020. The conjunction of Saturn and Pluto has a long historical correspondence with the fall of powerful civilizations and the rise of new powers, and the coming conjunction in 2020 is even more notable than normal due to Saturn and Pluto uniting close to the degrees of each of their own South Nodes. Yet civilizations are part of the natural environment, and in fact are completely dependent upon nature no matter how much technology is invented. There is an obvious reckoning coming in the time period of Uranus transiting Taurus in which global civilizations will need to face the realities of population growth and the resulting drain on natural resources for energy. It’s also easy to see how the increasing devastation wrought by natural disasters, coupled by the increasing evidence of climate change impact, will become intensified as Uranus in Taurus will force societies to figure out how to survive and adapt. Uranus in a fixed earth sign suggests the voice of the earth will be heard loud and clear, and that human civilizations will need to listen. Unlike the past eight years of Uranus moving through Aries in which it formed a harsh, catalytic square aspect with Pluto in Capricorn, Uranus in Taurus will be spending the next few years forming a whole sign trine to Pluto in Capricorn. In addition, Uranus in Taurus will be forming a whole sign sextile with Neptune in Pisces, and a whole sign trine with Saturn in Capricorn as it approaches its union with Pluto. These harmonious whole sign aspects on one hand suggest that power structures have supportive aspects to continue amassing increased levels of power and control, but it also means that individuals taking responsibility to collaborate in collective movements will also be able to create structures to bolster the expression of emancipatory ideas and actions. Uranus and Neptune coming into aspect again is especially notable and brings potential to open up a deeper dimension of Neptune in Pisces spirituality for some, amplifying addictive escapism through technology for others. As Uranus enters Taurus our world population is engaged in unprecedented levels of immersion in virtual technologies and electronic platforms connecting people all across the planet through the touch of fingers on keyboards. This airy age of rapid, interconnected communication is signified by the coming conjunction of Jupiter and Saturn in the first degree of tropical Aquarius on 21 December 2020. The union of Jupiter and Saturn in mundane astrology for ages has helped define trends in historical time periods, and so its significant we are now at the beginning of a 200 year cycle of Jupiter and Saturn conjunctions in air signs (after previously being in a cycle of conjunctions in earth signs that began in 1802- for an excellent article on this complex topic, read Benjamin Dykes). Uranus in tropical Taurus will only be six degrees away from an exact square with Jupiter and Saturn when they begin their upcoming cycle at the end of 2020, signifying the transit of Uranus through Taurus will be a monumental influence shaping unfolding events. Taurus is a nocturnal, inwardly directed sign in contrast to the diurnal nature of Aries that has an outwardly directed essence. The other fixed signs, especially Scorpio and Leo, are commonly seen as the places of immense power within the zodiac, yet Taurus is every bit their equal in sovereign strength. The inward, Venusian power of Taurus that can nourish monumental creation may not seem as obvious as the inner martial force of Scorpio which broods and penetrates with intensity. What seems on the surface as calm stability in Taurus is similar to the unfathomable depths of subterranean life concealed by the green grass we lay our heads upon. As the goddess Inanna calls for someone to plow her fields, so will we be called to delve into the nature of our being as well as the natural world around us to discover the inspirational solution to whatever challenges arise. Uranus in Taurus illuminates our capacity to find ways to meld the wondrous magic of nature and all of its constant creation into our creative process and invention. A native of Uranus in Taurus exemplary of its technological potential is Nikola Tesla, who as a youth transfixed with the wonderment of a crashing waterfall received a brainstorm that he could one day discern how to harness its power. As we know, Tesla not only helped develop the cultivation of hydroelectricity but numerous other inventions harnessing natural energy, including groundbreaking work in wireless power. There have been many historical examples demonstrating the capacity of Uranus in Taurus to birth technological inventions that dramatically transform culture, and the obvious need for technological advancement that can help us mediate environmental crises aligns perfectly with the potential of Uranus in Taurus. At the Northwest Astrological Conference in 2018, Caroline Casey spoke about animism informing technology with Uranus in Taurus, giving the example of Japanese bullet train design guided by the dynamics of kingfishers diving through water without a splash. This idea of biomimicry is not new, but seems fertile ground for new advancements with Uranus transiting Taurus. Insight gained from the magic of natural creation will be felt from all fields of exploration during the transit of Uranus through Taurus. In science, there have been many examples of new theories in understanding natural laws manifesting with Uranus in Taurus, from the work of Isaac Newton with universal gravity and mechanics to Charles Darwin finally deciding to present and publish his long-standing, thorough research into natural selection that defied aspects of dominant church dogma. Newton and Darwin’s work both displayed the fixed quality of Taurus as their influence within the field endured for centuries. In astrology, the current movement toward a more embodied practice of astrology that connects us more intimately with our living sky will be strengthened. Marsilio Ficino was an astrologer born with Uranus in Taurus opposite his Scorpio Sun, and was a monumental influence on the artistic movement of the Italian Renaissance as well as its underlying philosophy. Ficino translated and brought back to prominence ancient Platonic and Hermetic text which helped him devise remediation practices aligning astrology with medicinal choices, including aesthetic ones such as sound and color. As Uranus also signifies collective movements, despite the likelihood the mass population will continue to become even further entrenched within virtual realities, there is also a likelihood for movements centered within returning to nature gaining prominence. A past historical example includes Henry David Thoreau publishing Walden, or Life in the Woods with Uranus in Taurus, a work whose influence upon people seeking life lived within natural environments extends to this very moment. Interestingly, Thoreau published his essay Resistance to Civil Government (Civil Disobedience) when Uranus was in the final year of its transit through Aries. Uranus in Taurus will bring both of these ideas together, with acts of civil disobedience being utilized to protect natural environments from consumption. The Moon is exalted in Taurus and accustomed to being celebrated in the sign of the Bull Horns, yet will now find the strange instigator Uranus camping out there. Uranus entering the exaltation of the Moon suggests a radical awakening of soul through mindful descent into subterranean realms of inner sensation. I was recently struck by the link between enlivening inner senses with Uranus entering Taurus while listening to a workshop given by Peter Kingsley, a scholar of ancient philosophers such as Parmenides and Empedocles. Kingsley described inner sensations as “sacred ground” akin to the sacredness of the underworld to the ancient Greeks, yet in this case sacred ground you bear everywhere. Kingsley illuminated the value of the ancient healing practice of incubation, or lying down with full immersion within inner sensation, calling it a “practice of abandonment, the practice of giving up . . . when nothing else worked.” Kingsley described how ancient people would seek a shrine to lie down within and be as close to death as possible when doctors were not able to diagnose a cure, and how through this process a healing remedy would emerge through submergence within inner senses. Within the great cosmic order and turning circle of time, the Bull brings acquisition of resources. It is entirely earthy in nature, acting on rustic and rural places. There is an affiliation between Taurus and farming. Because the Bull is so earthy, its action is carried downward . . . It is oriented towards work of the unending variety, the temperament being entirely unchangeable. The Bull is responsible for the building of foundations, inclining us to collect assets. Taurus is the earthy, inwardly directed home of Venus with a fixed focus on cultivating enduring qualities. Uranus in Taurus will be influenced by Venus and her flavorful aesthetics, sense of harmony, and sensuality. As a result we can expect Uranus in Taurus to bring innovative changes to fashion, dietary considerations, bodily caregiving and anything else Venusian. There will be a reawakening in relationships, with a need for our partners, friends, and collaborators to accept and support our essentiality. Venus and Uranus do not share much common ground in archetypal meaning, and so we will need to open the Venusian areas of our life to allow for the revelatory flow of Uranus that can be unsettling in its rapid change. As Taurus and Venus both have a lot to do with our inner values, we can make allies with Uranus by engaging in relationships that resonate with our authenticity rather than those that conform to external standards. We can also witness masterful storytelling within natives with Uranus in Taurus such as Dante Alighieri, the creator of the enduring, immortal Divine Comedy whose influence has been incredibly far reaching. Masters of modern myths Jim Henson and Hayao Miyazaki were also born with Uranus in Taurus, both capable of creating entire worlds of fantasy that reflected timely messages back to audiences. Among artists, Vincent Van Gogh was also born with Uranus in Taurus (as well as Saturn and Pluto in Taurus) and his works of passion resonate with Uranus in Taurus in the way they capture the soulful aliveness of the ground beneath as well as the stars above. Whatever challenges and difficulties arise with Uranus in Taurus, we can expect they will inspire art, music, and story whose influence will stand the test of time. El Greco (1596-1600) View of Toledo; Uranus entered Taurus in 1599. The planet Uranus was named for the primal sky god Ouranos, father of the Titans and lover of the primal earth goddess Gaia. Ouranos was fond of stuffing his Titanic offspring deep underground, and so it is interesting that the other mythic figure usually connected with the planet Uranus, Prometheus, was a Titan who took the side of the Olympians in the Titanomachy that led to his Titanic peers also being driven deep into Tartarus. In astrology we connect aspects of Uranus to the unconscious forces that can direct our life suddenly from unseen realms within. In mundane events, Uranus also corresponds to unforeseen forces fracturing and bursting through the facade of consensus reality. Whenever Uranus enters a new sign, unexpected events often erupt with resonance to the zodiacal symbolism. With Uranus entering Taurus, we can intuit that commerce and economic systems across the planet will be shaken. While there will likely be dramatic periods of instability, it’s also likely that economic innovations will emerge through the volatility. As numerous past transits of Uranus in Taurus have coincided with militarized fights over land rights and natural resources, we can also expect more of the same. As previously mentioned, we can also expect mass movements focused upon environmental concerns such as addressing the need for clean water sources and the protection of what remains of the wilderness. Demetra George has posted a lucid piece connecting environmental concerns and crises with the mythic Uranus giving birth to the Furies within the tumult of his downfall. Uranus also relates to revolutions, rebellions, and social justice activism in mundane astrology. The past transits of Uranus through Taurus involve many of the threads currently knotted together in the gaping collective wounds polarizing conflict all across our planet. Social unrest, protest and activism is guaranteed in the next six months of Uranus initiating its transit in Taurus, as it will form a harsh aspect with Mars retrograde in Aquarius in June through August followed by a polarizing aspect with Venus retrograde in Scorpio in October. During this same period, Uranus in Taurus will re-enter the orb of a fifteen degree opposition with Jupiter in Scorpio, the orb used by Richard Tarnas in Cosmos and Psyche to define time periods containing the revolutionary fervor activated by Jupiter and Uranus in opposition (June through September 2018). — Frederick Douglass, What to the Slave is the Fourth of July? The Hierophant arcanum in tarot is traditionally associated with Taurus, an arcanum signifying belief systems, guiding faith rooted in belief, and the search for higher purpose and meaning. It can also signify conformity to established social orders of morality which aligns with its association to the fixed sign of Taurus. The word hierophant has roots in ancient Greek, meaning one who reveals what is sacred. Past transits of Uranus through Taurus have brought the shattering of static religious doctrine, including the 95 theses of Martin Luther that helped instigate the Protestant reformation, as well as Charles Darwin presenting his research into evolutionary biology that contradicted christian dogma. Saint Francis of Assisi was born with Uranus in Taurus and rebelled against the material trappings of religious institutions, devoting himself to a life of poverty. Saint Francis embodied Uranus in Taurus through viewing the natural world as a reflection of spirit, not only finding connection between living creatures and divinity, but also living and serving from this belief. The mystical participation of Saint Francis that rebelled against the christian duality which separated spirit from nature is likely to gain prominence as Uranus transits through Taurus. In ancient Egypt the great goddess Hathor who was honored and celebrated by hierophants remains an archetypal force resonant with Uranus in Taurus. Hathor was a bovine divinity and sky goddess who emphasized the fertile nourishment of the starry heavens above, the celestial cow who lifted the creator Sun god up within her horns. A bestial goddess whose womb encompasses the stars above, Hathor’s link to Uranus in Taurus suggests spiritual meaning can come through connection with nature, alignment with natural cycles on earth and in the stars above, and ritually honoring the sacred. There is an old debate pitting the mind versus the body, with some arguing that the illusion of the material world means we can’t trust our senses and instead must find spiritual truth through the rationalizing mind. In contrast, others have sought the wisdom of the body, delving within subjective senses to discover higher truth from within. Uranus in Taurus can activate the potential of integrating mind, body, and spirit, bridging the wisdom of inner sensation with the clarification of mind through the tests that will arise in our worldly endeavors. Tim Addey in his book The Seven Myths of the Soul used a passage from the Platonic philosopher Damascius to illuminate the journey of soul we experience through incarnation. Prometheus, a mythic figure who has become embedded within the archetypal meaning of Uranus in astrology, appears in the passage of Damascius in the line “Like Prometheus and the Titans, she is bound to body.” Addey linked the story of Prometheus to our soul’s incarnation in our bodily form where she must “undergo a series of trials in order to make sense of the world in which she finds herself.” To Addey, Prometheus is both “the inspective guardian of the rational soul” as well as “the descending arc of the cycle of the soul” whose path necessitates “the need to embrace the foundations of the mundane realm rather than reject them.” Addey suggests that “the initiation of Prometheus requires the soul to ask what am I not?” As we enter what promises to be a dramatic time period of Uranus entering Taurus, open awareness to what aspects of your life are ready to be liberated and changed. Analyzing how Taurus is involved in your astrology chart may be helpful, but most of all allow yourself to sense what parts of yourself you’ve been presenting to the world no longer align with your higher truth. It’s easier to ride with the force of Uranus rather than resist it. Kingsley, Peter. (2006). Return to Eternity: a transformational workshop with Peter Kingsley. Vettius Valens of Antioch. Book One. Rendered from ancient Greek into modern English by Andrea L. Gehrz. (2016). Moira Press. Whitman, Walt. (1986). Leaves of Grass. Penguin Classics. New Moons present an opportunity within fertile darkness to set intention. As the Moon aligns with our Sun and begins a new cycle and trajectory into increased light, we similarly pass from the close of a cycle into the promise of potential. Amplified beyond the norm, the New Moon in Aries on April 15 invites intention sung from peaks of far ranging vision. The lunation is aligned with Uranus and so whatever has been building in tension within constriction now demands release. Uranus brings increased excitement and incites desire for honest, authentic expression freed from restriction. Collective events will clamor and roar with a quickening pace, breaking open what has been confined. On personal levels within the tumult there is support for releasing liberated vision through grounded effort. Patience and due diligence must be embodied, using the imaginal excitement of future dreams as a gentle force of inspiration rather than an overbearing insistence on getting one’s way. The New Moon arrives at the same time that Mercury has finally stationed direct, ending it’s retrograde in Aries that began March 22. Hermes seizes the stage, and as all eyes become drawn to the Winged Messenger we can also become conscious of openings for taking bold and direct action aligned with inner purpose. Whatever has become dislodged and purged in the past three weeks of the Mercury retrograde has created the space needed for integrating a new dimension of presence sourced from the stoking of inner fire. Mercury will be illuminating the sky at dawn as a Morning Star as the Moon waxes in light in the forthcoming lunar cycle, curious and eager to set plans in action and seek out new information to strengthen development of goals. Pay attention in case Hermes fooled you recently with some sleight of hand, as Mercury stationing direct brings capacity for focused alacrity attuned with the changing details of circumstances. At the same time Mercury in Aries is stationing direct, Saturn in Capricorn is stationing retrograde. Planets stationing bring their significations forward from the depths of the collective unconscious into stark awareness. This is especially the case with Mercury and Saturn at the moment as they are stationing in range of a catalytic square to one another. Due to Mercury’s retrograde phase in recent weeks, we have already experienced a square aspect between Mercury and Saturn on March 10 and April 5. It will be worthwhile to reflect upon changes that have been happening since March 10 and messages we have received regarding the work and service we wish to perform as well as the stability and effectiveness of the structures we have in place for support and implementation. If we have already been actively reflecting upon and experimenting with what’s been working and not working optimally in recent weeks, then the Aries New Moon is ideal for implementing needed modification. Mercury will be applying to a square with Saturn in Capricorn for the rest of April, eventually perfecting the aspect on April 25. This means the rest of the month Mercury has a drive for instigating movement and directly creating what we want, while Saturn will make the limitations of available time and resources obvious. The negative side of Mercury holding such a strong aspect with Saturn for so long is excessive self-criticism for not living up to expectations. If you have a grand vision of something to create, let the limitations and obstacles that arise in the next month help you strengthen your project and allow it to develop with fruitful fluidity. The encounter between Mercury and Saturn is perfect for figuring out how to best serve the needs of others with what you want to manifest, rather than being overly consumed with your own selfish conception. If you are instead feeling frustrated with a lack of inventive ideas or confused over which direction to pursue, allow Mercury the time and space to help guide you, as its tension with Saturn in the weeks ahead will eventually bring increased clarity. Mars in Capricorn rules the New Moon while applying to a conjunction with Pluto. As the tension between Mercury and Saturn builds over the rest of April, so will the ferment between Mars and Pluto intensify as they will eventually reach exact union on April 26. Mars and Pluto coming together is always a time of reckoning in which we must acknowledge and find outlets of expression for deep seated desires we may have been repressing or denying. This particular conjunction of Mars and Pluto is epic, as Mars is moving from a union with Saturn to a union with Pluto and therefore foreshadowing the coming union of Saturn and Pluto in 2020. The cycle of Pluto and Saturn is one of the most important cycles to pay attention to in mundane astrology especially in connection with destruction of empires and power structures coupled with the emergence of upstarts claiming increased levels of power and control within global systems. Its especially significant that Saturn has made it within the fifteen degree threshold with Pluto that Richard Tarnas established as his boundary marker for cultural correspondences in his book Cosmos and Psyche (Tarnas tracked historical correlations with planetary alignments of conjunctions and oppositions using a fifteen degree orb). This essentially signals that we are already experiencing the sweeping tides that will irrevocably alter the global landscape in 2020. No kidding, right. The scope of the coming changes relative to global civilizations is immense, as Pluto and Saturn will be uniting in range of a conjunction with their own south nodes. Dane Rudhyar wrote that the south node of a planet is like “the negative pole of an electrical system” that is “a point of release, but what is released can be waste-materials…At its south node the characteristic quality of a planet is almost forcibly thrown upon the Earth.” Pluto has already conjoined its south node and we are only at the beginning of a period unleashing the full arc of Pluto’s archetype. The news cycle is full of stories displaying the decay of old cultural systems, the exposure of corruption within them, and innumerable examples of those in power attempting to coerce and maintain control within the dismantling. There is no stopping the rapid currents of change underway, but within the breaking apart of the old there is new space being created to take responsibility for developing new structures that can support those feeling vulnerable amid the upheaval. Significantly, at the same time Mars is approaching Pluto it is also being received by Jupiter in Scorpio through an integrative sextile aspect that can help bring regeneration out of discord, or at least transmit feelings of resistance, stress or challenge into productive action. The ability to produce something of beautiful value within surrounding intensity is also embodied by Venus in Taurus separating from a trine with Mars in Capricorn and applying to an opposition with Jupiter. The flowing energy between Mars with Venus and Jupiter combined with powerful tensions held by other aspects points to Aries New Moon being an extremely powerful launch pad for bold, dynamic endeavors full of resilient perseverance to not only survive but foster increased levels of strength within a stressful environment. Chiron ingresses into Aries two days after the New Moon on April 17. Chiron first entered Pisces on April 20, 2010 and so we have eight years of Chiron moving across Pisces to look back over and reflect upon today. Chiron will be in Aries for only part of 2018, as it will station retrograde on July 5 at 2º25′ of Aries and then return to Pisces on September 25 for its finale in the sign of the Fish. Chiron spends more time in Aries than it does in other signs, for its crossing of Aries terrain takes it to the furthest point of its orbit out by Uranus. Chiron is the celestial body that bridges the dimension beyond Uranus to the one within the guardianship of Saturn, and so can provide counsel for how to listen to the subconscious messages arising with the Uranian lunation. Chiron has brought about enormous dissolution while in Pisces that has helped facilitate healing as well as strength in facing and learning from disillusionment. Pisces is an internal and sensitive water sign that is in clear contrast to the fiery agency that will become available to Chiron in Aries. Chiron emerges from his cave in Aries ready to train heroes and heroines, eager to engage the power systems of the world in direct action. Chiron in Aries brings empowered will force to the determination of Saturn and Mars in Capricorn, bringing increased drive for advancement and protection, finding ways to direct outrage from oppressive power structures into effective streams of manifestation. Chiron in Aries will demand reclaiming power. How we choose to reclaim power and fight against forces of oppression will be one way Chiron in Aries will trigger wounds for healing. The third face of Aries is ruled by Venus and Jupiter and similarly holds uplifting passion resonant with the daimon of Eros. The image above by Francesco del Cossa of a figure who resides within this face encapsulates aspects of numerous images found in ancient text. The trinity of Three Books of Occult Philosophy, Picatrix, and Liber Hermetis all reveal figures dressed in red and holding a staff or sword. This passionate figure is wearing either a golden or wooden bracelet depending on whether you consult Three Books of Occult Philosophy or the Picatrix, but both texts indicate the figure embodies the unrest of not being able to do desired good. The reason for not being able to manifest these good wishes is not stated, but Three Books proclaims there is “talent, tameness, joy, and beauty” to be found here. The figure in the Picatrix is an iron worker and so has a medium through which to transfigure frustrated anger into works of vivifying creation. The figure in Liber Hermetis wears a gold crown with glistening emeralds decorating her belly. She is full of magic and her staff has the heads of four serpents facing a polarity of directions. Her garments of dark rose are lined with golden strings and she seems to possess the grace of the figure painted by Francesco del Cossa rather than the fury over constraints described by other texts. The focused countenance in del Cossa’s figure suggests they have an inner knowing of being able to make a targeted impact, as they seem to be summoning an inner force to project through the golden bracelet held delicately with their fingers. Francesco del Cossa placed an arrow in the other hand, evoking the mythic Eros or Cupid. Eros is in fact resonant, as the Hellenistic text 36 Airs ascribed the figure of Eros to the third face of Aries: the capacity of Eros to arouse passions into creations that inspire collective forces lies at the heart of the decan’s meaning. All of us can draw from the inspirational force of the New Moon occurring in the third face of Aries, united with Uranus, to bring resources and people together for the greater good. While we will become upset and express grief over difficult collective and personal events, there will also be opportunities for the strife of intense events to mobilize us toward new levels of strength we can utilize in supporting and inspiring others. The Aries New Moon asks us to get into the flow and ride the rapids of coming change, ready to respond and open to receiving assistance. The fisherman draws fish that he never saw from many fathoms beneath the water, the miner brings gold from the depths out of the earth, through which his sight cannot pierce. In this wise has God taught it. As there is nothing so occult that it shall not become manifest, so the same must be made known. Be it in the celestial firmament, in the sea, in the earth, all things must become manifest; but through man who discovers all things. Within change and strife resides freedom and release, for every heart breaks within love that returns and gives birth. Beyond every flower found in radiant color, ripened fruit savored, or prismatic crystal unearthed and polished, lies an infinitely more vast and invisible realm of dark fertility surrounding and shaping this and all other universes. In fathomless oceanic depth, under waves inexorably dissolving and bringing forth life, glimmers the slippery, silvery sheen of soul we find in Pisces. Light as dramatic as can be sensed during the Pisces Lunar Eclipse on September 16 begins to fade as soon as it has brought forth its fullness. We stand like a willow on the banks of its vortex, trunk strong and branches unfurled toward the constant disintegration of earthly matter into water. This week’s lunar eclipse at the end of the zodiac culminates many stories embedded in the intense mutable shifting of the past year. Within red shadows projected upon the Moon, one’s presence of being may become lightened from the accumulated heaviness of past failures and regrets. In contrast to a solar eclipse in which the Sun is overwhelmed by the shadow of the Moon, symbolically the meaning of a Lunar Eclipse is rooted in the phenomenon of our Sun casting the shadow of our Earth onto the face of our Moon. Linking the Moon to what we carry from the past within our body and mind, the past transmutes in the shadowy face of the Moon to allow for new emergence and presence. Dane Rudhyar in The Astrology of Transformation wrote that at a lunar eclipse “the traditional perspective born of past experiences of adjusting to life and society is blotted out by an eagerness to meet experience in a new, original manner.” This emphasis on new choices and vision is amplified by the Sun being on the side of the North Node of the Moon in Virgo. The eclipse is classified as penumbral because although the lunation is fairly close to the nodes of the Moon, the eclipse is at 24º20′ Pisces while the south node of the Moon is at twelve degrees of Pisces. Though the shadow cast will not completely cover the Moon’s face in rosy glow, it remains a lunar eclipse that irrevocably alters the stories internally streamed from the past year of life. Aligned with Chiron just as the Total Solar Eclipse in Pisces on 8 March 2016 was also conjoining Chiron, there is a cathartic release into the ever emptying ocean of Pisces that washes away remnants of disappointing burden that have been sticking to the flesh and circulating repeatedly in the mind. Pisces is the exaltation of Venus, and the lunar eclipse occurs close to the specific degree Venus exalts in (27° Pisces). Venus looms over the eclipse as Jupiter in Libra rules the eclipse and Venus is co-present in her home of Libra alongside Jupiter. Pisces is the inwardly directed home of Jupiter, a place of inner expansion and vision, a faculty of intuitive gnosis merging heart with mind. Relationships, our current relations as well as all manner of past relational patterns that inform our meeting with others, rise from the waters of Pisces at this week’s eclipse with a message of vital importance, whether found in the form of verbal language or nonverbal image. In the twilight preceding the full illumination of the Pisces Moon, one may behold a brilliant Venus on the horizon that is continuing to brighten as an Evening Star. Though as mentioned the shadow of this week’s eclipse is fainter than that of a total lunar eclipse, nonetheless the redness of the eclipsed shadow on the Moon evokes Pisces through its correspondences with eros that vitalizes blood flow and inspirit. The red shadow covering the Moon also has symbolic overtones with the renewal of the rubedo stage in alchemy, as it portends responding to life from a new presence free of past conditioning. Red is also fitting for Mars being in square to the lunar eclipse, making this Pisces Lunar Eclipse a tumultuous affair. In fact, there is little balanced about the Libra influence of Venus and Jupiter, as Venus will be applying closely to an opposition with Uranus in Aries and a sextile with Mars in Sagittarius, with Mars further in trine to Uranus. Yet in the stillness of a Pisces pool within the surrounding bedlam, insight may be discovered. The above quote from Leonora Carrington and painting by Ithell Colquhoun were both shared by Jon Eric Graham in a presentation he gave entitled “A Stunning Revenge on All Things: Surrealism, Alchemy, and Magic” at the recent 2016 Esoteric Book Conference in Seattle I attended. In a subsequent presentation Pam Grossman also shared the same Scylla image by Ithell Colquhoun in her talk “Witch Pictures: Female Magic and Transgression in Western Art.” As Pam Grossman traced the history of the depiction of witches in art, highlighting the obvious shift of meaning once women had platforms to create their own witchy images, I was struck by the full archetype of the witch held within any modern manifestation of image, no matter how corporate or commercial. Namely, that the indescribable trauma and travesty of the collective history of witches is held and honored within the same image of witchcraft a modern teenager will embrace as part of claiming her own sense of the sacred feminine. This is not to suggest oppression will go away or that its wounds will disintegrate, only that in the dissolution of the Pisces Lunar Eclipse an empowering liberty may be discovered within our identities that have been hurt the most. The square between Saturn and Neptune that finally culminated in the week before the lunar eclipse involves the transfiguration of collective images in meaning. Indeed, the most intense aspect to the lunar nodes at this week’s eclipse is not the actual Full Moon Eclipse, but rather the square between Neptune and Saturn, with Saturn applying closely to a square with the lunar nodes and Neptune conjoining the South Node of the Moon. Whatever sacrifice has had to be made in this past year of the square between Saturn and Neptune, like Odysseus passing through Scylla and Charybdis we now must resolutely with responsibility press forward on the path we have realigned with. Any fixations on past dreams that did not manifest must now be dropped into the receding tide, with focus and accountability bound to the work needing to be done in the present moment that meets one’s own needs as well as creates valuable resources or inspiration for others. The numerous catalytic aspects involved in the Pisces Lunar Eclipse unfortunately make it likely that the disasters, acts of violence, and traumatic events that have dominated current events recently will continue. On a personal level, however, if you are somewhere securely away from overwhelming conflict the incredibly active nature of this week’s eclipse can be an enlivening impetus toward tangible realization of goals and vision worked on across time. Mercury remains retrograde, separating from its union with the Sun earlier in the week and applying to a trine with Pluto in Capricorn. Though Mercury has shifted toward its Morning Star phase in which goals and plans can be focused on with greater clarity, it is not yet visible and so there is still a chthonic fertility to all things Mercurial. Particularly compelling to me is that the true node of Black Moon Lilith will be conjoined with Venus in Libra at the time of the lunar eclipse. This means that Venus combined with Black Moon Lilith will be opposite Uranus in Aries and sextile to Mars in Sagittarius. Black Moon Lilith is the oscillating shadow point that balances the Moon’s orbit, bringing the liberating quality of Uranus contacting Venus and Mars more directly into the experience of the Pisces Lunar Eclipse. Where we have been abandoned, betrayed, felt exiled or placed at a distance on the outside, becomes in the shadowed light of the lunar eclipse a strength fortified by lack and solitude and ready to burst forth with meaning to express and share during the dissemination of the eclipsed light. The Lunar Eclipse is in the third face of Pisces, associated with the 10 of Cups card illustrated above by Pamela Colman Smith. An image of joy, fulfillment, rainbows and giddy children, the 10 of Cups is interpreted as the quality of blissful happiness and manifestation that those who reside within the third face of Pisces not only yearn to bring about but possess the internal resources to do so. The final decan of the zodiac from the perspective that Aries is the beginning, the third decan of Pisces is a place of magical manifestation where seeming miracles can be brought about against all odds. Austin Coppock in his book on the decans 36 Faces ascribed the image of “A Cup of Blood” to this face, describing it as a “mad quest for an ideal” and “being willing to sacrifice everything” for “the attainment of one’s greatest desire, no matter the cost.” While Three Books of Occult Philosophy described an image of a naked man with a beautiful woman whose head is decorated with flowers, other ancient texts describe terror of loss bringing screams and cries. Austin Coppock linked the third face of Pisces with such “heights of agony and ecstasy,” writing that “Though there can be no greater pleasure than the union with the beloved, no pain is greater than its frustration, or worse yet, the betrayal of the person or ideal whom one has sacrificed so much for.” As a result Coppock noted the importance of applying discernment and discrimination to acts brought forth in this face. Coppock made a brilliant connection with the fragmentary Hellenistic text The 36 Airs ascribing the daimon of hope Elpis to the third decan of Pisces. This is the hope left at the bottom of Pandora’s box, the answer to doom pointing to “beauty, love and the real possibility of happy endings. The last decan [of Pisces] is thus a miniature of all incarnation, asking the most important questions and offering the most impassioned answers” (p. 260). The third face of Pisces is ruled by Mars, and as Mars in Sagittarius is in square to the lunar eclipse, the meaning of this passionate decan of Pisces must be faced. The warnings of losing one’s beloved or cherished ideal in no way means to hold back from pursuing what enlivens the heart during the eclipse. With Saturn in square to the lunar nodes and Neptune conjoining the south node, however, it is vital to plant seeds and develop growth in places clearly able to receive and bolster one’s ideal intentions. There is co-creative magic found in the face of this week’s Pisces Lunar Eclipse to align with the work, path, and collaborators most resonant with one’s deepest desires. Paracelsus. (2014 edition). Magia Emblemata et Prognostici. Ouroboros Press. Jupiter enters Libra on 9 September 2016 where it will remain until 11 October 2017. Since this shift occurs at the same time as the last exact square between Saturn and Neptune, there could very well be extreme tensions in one’s life in need of balancing which Jupiter entering the sign of the Scales can facilitate. Furthermore, Jupiter enters Libra in a period in between eclipses, with Mercury retrograde forming a hard aspect with Mars, and Jupiter itself invisible and becoming purified under the beams of the Sun. As a result, it will take some time before the full spectrum of Jupiter’s benefits will be felt in the Libra area of your life, yet Jupiter’s entrance into Libra will still bring some welcomed positivity immediately. Jupiter is more comfortable in Libra than in Virgo because it has triplicity dignity in Libra, meaning that Jupiter is “in its element” as it prefers to be in Air signs more so than Earth signs. This accord comes from the Air signs of astrology being connected to the jovial sanguine temperament which is harmonious with the nature of Jupiter. In fact, Jupiter has been said to rule the sanguine temperament. Sanguine is uplifting and seeks cohesion in social connections, a quality of moistness becoming hot which in personality comes across as desire to be successful while also being optimistic and lighthearted, supportive and forgiving of others socially. Jupiter’s time in Libra can direct vision toward what is pleasurable and harmonizing, as it will be in the domicile of Venus. Libra is the diurnal, outwardly directed home of Venus where the significations of Venus occur at a swifter pace than her other home of Taurus. Libra is also a Cardinal sign, adding a quality of initiation and gathering the impetus to strike out on new endeavors that will make this an opportune period to find ways to be more collaborative in community. While Libra is a Cardinal sign ultimately about initiating one’s own, selfish pursuits, its place as the Cardinal Air sign ruled by Venus means it supports acting in accordance with the needs of relationships rather than being instinctually direct like its polarity Aries. There results a mix of a rational, reflective side with the feelings and associated values of Venus pursuits, leading to a greater capacity for thought and strategizing to inform action more so than impulsive, overwhelming feelings. However, it is also a mistake to think that everything associated with Libra is in balance, for in reality there is a constant fluctuating of things becoming unbalanced as part of its balancing act. If balance is achieved it is only momentary, as any equilibrium gained instantly becomes vulnerable to coming out of balance again or falling into disarray. Libra as the sign of the scales is about the perpetual balancing experienced in all of our relationships in the world. 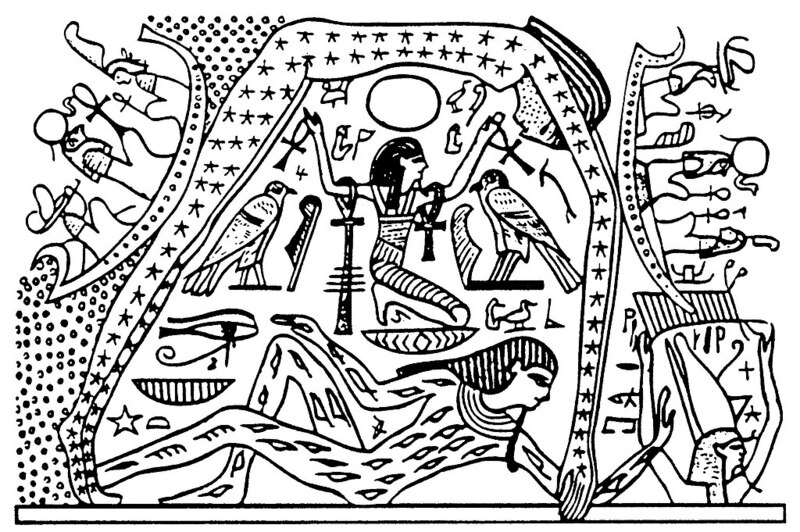 As a symbol the scales conjure the Egyptian imagery of Maat and the weighing of the Soul after death, at which time the heart would ideally be as light as a feather instead of heavy with the gravitas of unresolved issues. Maat is also the balancing of natural, terrestrial, and cosmic order arising from the field of chaos and its constant flux. From this comes a sense of social justice felt by a heart aligned with natural order, as well as the social conventions of how a society ascribes judgment to what is appropriate or inappropriate behavior. Jupiter is a planet of philosophical understanding that brings knowledge through the experience of natural law and order. In our modern world, however, the societal conventions and laws created by humanity are often at odds with natural order. In the constant balancing act of an individual moving through the injustices of this world, the transit of Jupiter in Libra will exacerbate tensions around injustice while seeking to stabilize efforts on behalf of social justice. There was a large figure shown in middle of the throne’s back rest which K. could not understand and asked the painter about it. That’ll need some more work done on it, the painter told him, and taking a pastel crayon from a small table he added a few strokes to the edges of the figure but without making it any clearer as far as K. could make out. “That’s the figure of justice,” said the painter, finally. “Now I see,” said K., “here’s the blindfold and here are the scales. But aren’t those wings on her heels, and isn’t she moving?” “Yes,” said the painter, “I had to paint it like that according to the contract. It’s actually the figure of justice and the goddess of victory all in one.” “That is not a good combination,” said K. with a smile. “Justice needs to remain still, otherwise the scales will move about and it won’t be possible to make a just verdict.” “I’m just doing what the client wanted,” said the painter . . .
. . . “Only it’s a pity that you can’t make out the details of his costume and pose in this picture, pastel colours aren’t really suitable for showing people like this.” “Yes,” said K., “it does seem odd that it’s in pastel colours.” “That’s what the judge wanted,” said the painter, “it’s meant to be for a woman.” The sight of the picture seemed to make him feel like working, he rolled up his shirtsleeves, picked up a few of the crayons, and K. watched as a reddish shadow built up around the head of the judge under their quivering tips and radiated out the to edges of the picture. This shadow play slowly surrounded the head like a decoration or lofty distinction. But around the figure of Justice, apart from some coloration that was barely noticeable, it remained light, and in this brightness the figure seemed to shine forward so that it now looked like neither the God of Justice nor the God of Victory, it seemed now, rather, to be a perfect depiction of the God of the Hunt. The Goddess of Justice in the painting is running with winged feet causing her scales to be out of balance, creating a likeness to a Goddess of the Hunt rather than Lady Justice. Thus within the societal construct of a court system in which the individual purportedly is innocent until proven guilty, the court ostensibly concerned with justice is in actuality focused on hunting down the accused and triumphing over them. When Lady Justice is claimed by those in seats of power who manipulate their hierarchical power structures to increase and sustain their grasp on power, the societal conventions and structures of law and order fall out of balance with Her natural law. Enantiodromia is a term from ancient Greek meaning “to run counter to,” that was unearthed in the work of Carl Jung (who had Jupiter in Libra in the third decan that it rules) to demonstrate his understanding that anything at an extreme state will turn into its opposite quality. The concept of a unity found in oppositions goes at least as far back as the time of the ancient Greek philosopher Heraclitus, whose famous statement that no one steps in the same river twice was embedded within a philosophy of flux that saw that everything in existence contains and turns into its opposite state. Jung brought this concept into his theories about the interplay between our conscious and unconscious, and how what we repress in our subconscious can erupt in polarity through our shadow. There is an inherent restoration of balance to our system that results that is not unlike the astrological meaning we can find in Libra, the sign of the Scales. Though we may want to strike out against the injustices of the surrounding world during the transit of Jupiter in Libra, to be most effective we will first need to face our own shadow that comes out in relationship with others. As Libra places importance on dialogue in relationship, expressing one’s own needs while listening to the needs of others, an additional fitting concept emphasized by Carl Jung is Auseinandersetzung, German for “taking something to pieces.” This refers to confrontation in dialogue in which two people verbally engage without running away from the conflict. By staying engaged in the dialogue, the differences inherent to the disagreement become clarified and distinct, making an agreement or compromise possible. Jung believed it was also possible to engage in such a dialogue with one’s anima/us, clarifying the unconscious being projected into relationships and keeping us perpetuating past relational patterns. To Jung we gain “mettle” when facing the conflicts between our ego and anima/us, and out of the confrontation between the conscious and unconscious arises awareness of our wholeness, what he called individuation. This sort of inner integration that supports healthy growth is the domain of Jupiter. When Jupiter enters Libra, Venus will be at home to welcome its visionary expansiveness into her dwelling place. While Jupiter in Libra may signify moderation and temperance in pursuit of desire and pleasure, it can also signify the excess of Venus that pull one into wild extremities of imbalance. Falling in love during expansive Jupiter’s journey through Libra brings to mind the ravenous rapture of the ancient poet Sappho, whose fragment 47 has been translated by Anne Carson as declaring, “Eros shook my mind like a mountain wind falling on oak trees.” Previous inner equilibrium unravels when opening to love, as it simultaneously opens one to the torment and grief of losing love. The negative aspects of relationships will be just as much a potential under Jupiter in Libra as they are at any other time, yet since Jupiter tends to stabilize it will support rebalancing any difficult feelings such as jealousy or the bittersweet absence of love. If the excesses of Jupiter are kept in check, the likelihood is for Jupiter in Libra to be a balm for improved communication and relations with others. Jupiter in Libra can expand efforts in everything associated with Venus, whether that be arts, creativity, or the pleasure found in the body as well as the aesthetics of the senses. Taking on mundane projects such as redesigning an environment can become magical with Jupiter in Libra, and the cohesive nature of Jupiter can also be utilized to connect one’s own work of passion to the efforts of others of like mind in our global community. New combinations of abstract and aesthetic forms can come together into new movements that draw from the past yet display a fresh assemblage of influences that match the arising zeitgeist. Jupiter in Libra is a time to activate your creativity in your wider community. Venus will be increasing in light as an Evening Star for the first period of Jupiter’s time in Libra, moving from Libra to Scorpio to Capricorn to Aquarius and through Pisces before stationing retrograde in Aries in March 2017. Venus will then move retrograde back into the final degrees of Pisces, the home of Jupiter. As Jupiter’s time in Libra is bound to the movement of Venus, the Venus retrograde of March through April 2017 (February through May 2017 if you count the “shadow zone”) will be a significant recalibration in the experience of Jupiter in Libra. Libra is the exaltation of Saturn, and since Saturn in Sagittarius is lingering in the home of Jupiter, the entrance of Jupiter into Libra dramatically alters the relationship between Jupiter and Saturn from one of tension (the square from Virgo to Sagittarius) to one of harmony. After a year of deconstructing change, Jupiter in Libra forming a sextile with Saturn in Sagittarius is opportune for constructive building of new structures. As Jupiter approaches a sextile with Saturn at the end of 2016, opportunities will present themselves and obstacles will be removed in order to tend to the fracturing that came about from the last quarter square between Jupiter and Saturn that dominated the second half of 2015 and the first half of 2016. Austin Coppock has talked about Saturn’s exaltation in Libra being about the ideal of forming contracts, laws, and other binding agreements out of consensus, an interpretation I agree with. Saturn and Jupiter are both diurnal planets that favor Air signs, and Libra also forms a trine to Aquarius, the diurnal and airy home of Saturn. With Saturn in Sagittarius, there is increased potential through Jupiter in Libra to organize efforts on behalf of social justice that make a direct impact in local communities, as well as for legislative bodies in governments to come together into compromised agreement around issues of civil rights. Jupiter in Libra will support building social movements that address injustice. In my nation and government of birth, the Statue of Liberty is the Goddess of Justice, our Colossus overlooking the sea bringing tides from other lands. Though a symbol of liberty and welcoming, the Statue of Liberty’s symbolism has also been manipulated by power structures to exert control. Currently, there is a fierce debate within the United States of America over immigration, including proposed policies that seek to restrict the very issue the Statue of Liberty evokes. The astrology chart often used for the Statue of Liberty features a conjunction of Jupiter and Venus in Libra, fitting as the giant goddess is made from the Venusian metal copper. With the Statue of Liberty aligned so strongly with Jupiter in Libra, it makes sense that the national elections of 2016 with Jupiter in Libra will set the agenda for how the nation deals with immigration in coming years. In countries all around the globe, Jupiter’s presence in Libra will hopefully facilitate greater compromise that can do something positive about the immigration and refugee crises that have erupted. As Jupiter moves across Libra, it will gain additional dignity when it enters its own bounds at fifteen degrees and then again when it crosses twenty degrees into the third decan of Libra it rules. Jupiter in the third face of Libra could be especially potent, as Jupiter’s rulership of the third decan signifies that there is a special quality of Jupiter to access here. Jupiter will enter the third face of Libra at the end of December 2016 and then leave it retrograde in March 2017 during the Venus retrograde in Aries. Jupiter will return to the third face of Libra in August 2017 just in time for a Total Solar Eclipse in Leo that will be visible and especially potent in the United States of America. Jupiter will remain in the third face of Libra until it enters Scorpio in mid October 2017. Toward the end of 2016 we will enter the full phase of the Jupiter and Uranus cycle, as Jupiter will form an exact opposition on 26 December 2016 with Uranus. While the full phase is always about managing opposing desires for external relationships versus internal independence, this conflict will be further exacerbated by Jupiter being in the relationally oriented sign of Libra and Uranus being in the independently oriented sign of Aries. During this phase we will explore the full meaning of the Jupiter and Uranus cycle that began in 2010, with support from a waning sextile formed within the Jupiter and Saturn cycle, and a disseminating trine formed between Saturn in Sagittarius with Uranus. The combination of Saturn in trine to Uranus, as Jupiter opposes Uranus and forms a sextile with Saturn, brings the potential to liberate our personal vision from the restraints of our past framework, restructuring essential elements of life in support. However, in the dark far reaches of outer space awaits Pluto in Capricorn holding a significant challenge for Jupiter in Libra. Pluto in Capricorn will form a last quarter square with Jupiter for much of Jupiter’s time in Libra beginning in November 2016. As a result, Jupiter will re-connect the square between Uranus and Pluto in its aftermath, providing opportunities for social relationships and contracts to arise that remedy some of the fracturing that came about within the tectonic shifting of the square between Pluto and Uranus that was most strong from 2011 – 2015. Though Jupiter in Libra ideally signifies peace, there will no doubt be many great conflicts and disruptions that arise during this period that resonate with the issues which erupted in the global collective during the years of the square between Pluto and Uranus. At its best, Jupiter can inject its collaborative focus on social justice into the Plutonic power structures and systems during this period. As previously mentioned, the Venus retrograde from March through April of 2017 will be one of the most disruptive periods of Jupiter’s time in Libra, as Jupiter will be under the influence of a rebellious Venus. As Jupiter’s time in Libra will be significant for the generations of people born with Pluto in Libra, Neptune in Libra, Uranus in Libra, Saturn in Libra, and Jupiter in Libra, the Venus retrograde in Aries will be extremely catalytic for those born with these planets in between zero and fourteen degrees of Libra, since Venus will move back and forth across these degrees in opposition through her retrograde movement. As a member of the Pluto in Libra generation, I am particularly curious about the impact of Jupiter’s transit through Libra on our generation, as we have come of age into greater access of power and responsibility, with greater capacity to make an impact with Jupiter conjoining our Pluto placements. Carpe diem can be an overused motto, but truly Jupiter in Libra signifies a period in which to seize the day. Jupiter in the home of Venus can amplify and accentuate all of the elements of our life that bring pleasure, beauty, harmony, and joy. If you have been holding back in any way from attempting to make your life as extraordinary as possible, the ingress of Jupiter into Libra signals a time to expand the parameters of what you believe you can achieve and act accordingly. BBC Radio. (2014). In Our Time: Culture. Kafka’s The Trial. Kafka, Franz. (1925). The Trial. Translated from the German by David Wyllie. Neptune stationed retrograde at 12º2′ of Pisces on 13 June 2016, with Saturn retrograde closely applying to a last quarter square at 12º20′ of Sagittarius. Saturn will perfect its square with Neptune on June 17 or 18, depending upon your time zone. There is an astrological construct that Saturn has the upper hand in this tension as it is in a “superior” square to Neptune, meaning that Sagittarius is the tenth place from Pisces. When a planet stations, however, it takes on far vaster significance than normal. In the case of Neptune stationing retrograde, its numinous significations corresponding to everything Saturn blocks with its stalwart boundaries possess an inexorable tide of salty seawater disintegrating the structures that have been defining one’s identity. Many are undergoing personal crises in which an identity, relationship, or path they had been attached to has been dissolving. In the wake of the familiar gone, the once ideal awash in bitter disillusionment, one’s ability to act with integrity can be corrupted by fear, anger, confusion, and insecurity. Neptune can be difficult to work with because its emanations do not fit neatly into consensus reality like those of Saturn. Yet when an exact square forms, we need to open to Neptune and begin to integrate what it is asking of us if we wish to be avoid becoming overwhelmed by the dynamic. In the final paragraph recorded by Carl Jung in Memories, Dreams, Reflections he quoted Lao-tzu: “All things are clear, I alone am clouded.” It is the illusions we carry, picked up from outside sources, that cause us to become disoriented by a Neptune transit. When we realize that a beloved hope we had trusted to bring happiness or meaning is in fact illusory, a sense of drowning and disassociation can envelope our being. Carl Jung’s work illuminated the sense that both good and evil come from the divine, that the “world into which we are born is brutal and cruel, and at the same time of divine beauty” (Memories, Dreams, Reflections, p. 358). This is the realm of Neptune, a planet that signifies both the most wretched states of existence found in suicidal addictions, as well as the most fulfilled feelings of bliss and joy found in true love. At today’s juncture of the square between Saturn and Neptune, humanity is facing the terror of its own mass destruction, as numerous collective illusions have coalesced into an era filled with mass murder and environmental devastation. While Neptune is not truly analogous to the prima materia of alchemy, when Jung in “The Visions of Zosimos” wrote of the radical, root moisture that connects the prima materia with the soul, there is a link to the numinous nature of Neptune we sense whenever we tap into the soul of the world. Contact with Neptune opens us to the collective unconscious, the wisdom found in the images of our dreams, and wherever we feel the presence of the interconnected, underlying field and fabric of reality. In the dewy mist coloring the earth as we awake from dream, as the solar rays prepare to emerge once again from the fertile night, we are given another opportunity to release ourselves from the illusions of our past and engage with the arising inspiration that brings life to our imagination and being. While Neptune transits can feel so disillusioning that we lose sense of meaning in life, they can also revivify our connection with the animating spirit of our universal matrix. Carl Jung in relation to Neptune has been on my mind a great deal recently as I was fortunate to hear two talks given by Richard Tarnas at the Northwest Astrological Conference (NORWAC) of 2016. In both talks Tarnas spoke of the important influence the modern emphasis on individualism and the solar heroic self has had in terms of supporting the capacity of people to liberate themselves from oppressive authority and prevailing worldviews in order to discover their own authentic nature and beliefs to live from. Yet this emphasis on the individual also led to the disenchantment of the universe, a dissociative illusion of separateness from the interconnected streams of the Anima Mundi in which humanity has brought itself to the brink of extinction. Vitally, Tarnas emphasized that the Sun not only ascends, but descends, and that it is the descent into the many of the pregnant night where we experience alchemical transformation in our night sea journey, where the solar hero sacrifices itself to the whole, embraces and loves the whole, succumbs to the multitudinous of the moonlit night. This is not unlike opening the rigid, dogmatic confines of Saturn to the numinous realm of Neptune. Carl Jung is exemplary as an individual willing to descend into his depths in order to bring back knowledge to share with the collective, not only because of the testament of his work such as the Red Book/Liber Novus, but also within the symbolism of his birth chart. Jung was born with a setting Sun in Leo, the very image of the solar self’s descent. Furthermore, Jung was born with an exact square between Neptune in Taurus and his Leo Sun. When Jung famously had his vision of the coming world war while riding the train to Schaffhausen, Switzerland in October 1913 (overcome by a vision of blood flooding the European landscape, with the Alps protecting his homeland), Uranus was directly on his ascendant in opposition to his Sun while Neptune was coming into range of a conjunction with his Sun and a square to his Neptune. Richard Tarnas gave a lecture at NORWAC 2016 entitled “The Natal Sun: The Solar Journey & the Forging of the Self” in which he used Carl Jung as a primary example for aspects between Neptune and the Sun. Tarnas illuminated the significance of Jung’s natal square between the Sun and Neptune, and how he serves as an example of how a square can be so well integrated in the course of one’s life that something is brought forth that had not existed previously, in Jung’s case the understanding of the Self with a capital “S” and “his sense that we are always moving toward wholeness and we need to have a coniunctio, a sacred marriage between the conscious and the unconscious, and in this case what he meant by the unconscious was the archetypal psyche and the whole Neptunian dimension.” Tarnas brilliantly made the point that the very word Self with a capital “S” is a great example of the Sun and Neptune together, it being a transpersonal level of the self and “a higher self that guides us to becoming ourselves in our own individuated flowering.” Tarnas also made the point that Jung’s concept of active imagination is a perfect description of the square between the Sun and Neptune in Jung’s birth chart. Numinous experience elevates and humiliates simultaneously . . . Wherever the psyche is set violently oscillating by a numinous experience, there is a danger that the thread by which one hangs may be torn. Should that happen, one man tumbles into an absolute affirmation, another into an equally absolute negation. Nirdvandva (freedom from opposites) is the Orient’s remedy for this. I have not forgotten that. The pendulum of the mind oscillates between sense and nonsense, not between right and wrong. The numinosum is dangerous because it lures men to extremes, so that a modest truth is regarded as the truth and a minor mistake is equated with fatal error. Tout passe– yesterday’s truth is today’s deception, and yesterday’s false inference may be tomorrow’s revelation. This is particularly so in psychological matters, of which, if truth were told, we still know very little. We are still a long way from understanding what it signifies that nothing has any existence unless some small- and oh, so transitory- consciousness has become aware of it. As we head into the time of the Summer Solstice in the Northern Hemisphere, the day in which the Sun reaches the zenith of its ascent and begins its descent that will lead us into the regeneration of Fall and the darkness of Winter, a Mutable Grand Cross will form involving Mercury in Gemini in opposition to Saturn in Sagittarius, both in square to an opposition between Neptune in Pisces with Jupiter in Virgo. This could lead to a breakdown or a breakthrough, and to experience the latter Jung’s emphasis on centering within is sage advice. In Memories, Dreams, Reflections Jung declared, “There is no linear evolution; there is only circumambulation of the self.” Circumambulating, circling around our sacred center instead of becoming spun out in disparate directions through forces within our outer environment, can facilitate the grounding needed to gather insight rather than delusional, disillusioning experiences. I accepted the chaos, and in the following night, my soul approached me. Venus conjoins Mercury Retrograde in her own home of Taurus this Friday, May 13. Venus unifies, harmonizes, brings us pleasure, and in the earthy, body-centered lair of Taurus, she wants to delight our bodily forms and the deepest recesses of our sensory, sensual natures. Mercury in astrology can destabilize, contest, and create volatility in contrast to the unifying nature of Venus, yet Mercury is also the connective mediator between the world animating spirit and our bodily, material realm. With Mercury retrograde in Taurus, with Mercury recently having passed through a purifying conjunction with the Sun while conjoining its own heliocentric South Node, Mercury is pulling us deeply within our senses to the inner source of our thoughts and discernment. If you are lucky enough to be in love in this moment, it is an ideal transit of pure pleasure. If you are alone or dissatisfied in relationship, this is an ideal time for Self nurturance and getting in touch with your deepest feelings and needs in relationship. By embracing being alone and out of relationship at this time, the inner process that is supported by this transit will help magnetize a deeply resonant relationship that aligns with the uncovered inner values and needs when the time is right. This lovely transit of Mercury retrograde uniting with Venus in Taurus is embellished by it being in an exact trine with Pluto in Capricorn, and also in range of a trine to Jupiter and the North Node of the Moon in Virgo. Mercury during its retrograde plays the role of the Herald to Hades, and so aligned with Venus will help release resistance to whatever cathartic changes Pluto in Capricorn has been calling for in our life that we have not yet answered with full presence. In the next few days there is a lovely opportunity to accept the underlying changes in our life that in the past has created stress, worry, and grief, and instead allow ourselves to be present and open to what has been created for us in this moment out of the destruction. These lovely aspects surrounding Mercury uniting with Venus in her home are happening as the Moon waxes in light, en route to an electrifyingly dynamic Full Moon next week that is aligned with the heart of the current Mars Retrograde. Furthermore, all of this is happening within the tightening of the tension involving Saturn in Sagittarius in square to the opposition between Jupiter in Virgo and Neptune in Pisces. With Mercury moving slowly backward in its retrograde, it will be lingering longer than normal in its embrace of Venus, and lucky Hermes is getting to enjoy the experience in the home of Venus. Although many elements of our lives may feel scary with the degree of changes signified by the surrounding astrological transits, the commingling of Venus and Mercury now can facilitate inner access to the authentic change and growth occurring for you, rather than the collective fears of change circulating in the atmosphere now. The ideal situation, as far as we can see, is when the ego, with a certain plasticity, obeys the central regulation of the psyche. But when it hardens and becomes autonomous, acting according to its own reasons, then there is often a neurotic constellation. This happens not only to individuals, but also collectively, which is why we speak of collective neuroses and psychoses. Whole groups of mankind can drift into that split situation and deviate from their basic instinctual patterns, and then disaster is close. That is why in hero stories there is nearly always an exposition of a terrible situation . . . Whatever this terrible story is, the hero has the task of putting it right . . . The hero, therefore, is the restorer of a healthy, conscious situation. He is the one ego that restores us to healthy, normal functioning in a situation in which all the egos of that tribe or nation are deviating from their instinctive, basic totality pattern. It can therefore be said that the hero is an archetypal figure which presents a model of an ego functioning in accord with the Self. von Franz, Marie-Louise. (1996). The Interpretation of Fairy Tales. Revised edition. Shambhala. film clip from the film Alphaville: une étrange aventure de Lemmy Caution (1965) written and directed by Jean-Luc Godard.